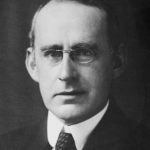 Arthur Eddington was an English astronomer, physicist, and mathematician of the early 20th century who did his greatest work in astrophysics. He was also a philosopher of science and a populariser of science. The Eddington limit, the natural limit to the luminosity of stars, or the radiation generated by accretion onto a compact object, is named in his honour. Around 1920, he anticipated the discovery and mechanism of nuclear fusion processes in stars, in his paper The Internal Constitution of the Stars. At that time, the source of stellar energy was a complete mystery; Eddington was the first to correctly speculate that the source was fusion of hydrogen into helium. "We have found that where science has progressed the farthest, the mind has but regained from nature that which the mind put into nature."